We are proud to launch our new commitment to improve safety across everything we do, Safer by Choice. 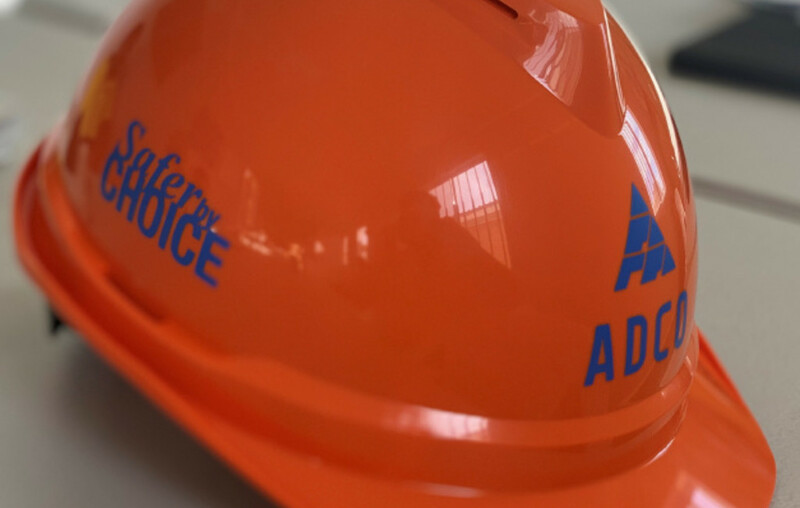 Each person in the ADCO team, from our people, our consultants, our subcontractors, our suppliers and our clients have the capacity to make a difference: to be safer by choice. We are determined to maintain our culture of open reporting, fairness, flexibility and learning and this launch helps to keep safety front and centre of our business. Our teams work on large scale, bespoke construction projects in unique environments and each have inherent dangers. We believe that safety on each project commences well before construction begins – even before a job is tendered or won. At the core of Safer by Choice is the concept of taking the safety of ourselves and others personally, careful safe decision-making and awareness that each person can improve safety, by choice. This reinforces a supportive, ‘team safe’ culture, with three central pillars of taking responsibility, supporting each other and focusing on positives. “Safer by Choice will foster a strong culture of safe and responsible decision-making across the company, guiding decisions by both leadership teams and individuals. It will apply to every staff member, consultant, subcontractor and supplier involved on an ADCO project, and will go further than simply taking measures to reduce LTIs,” said CEO of ADCO, Neil Harding.